I looked on other photos in other books but impossible to read what is written. Very good work. I like it. Very very good subject and amazing work. I love it. Very good work. I was lucky enough to see and touch one really at Istres at the end of the 1990s. The one I have built in 1/72 is of the same unit but is named "Orlando where the action is". 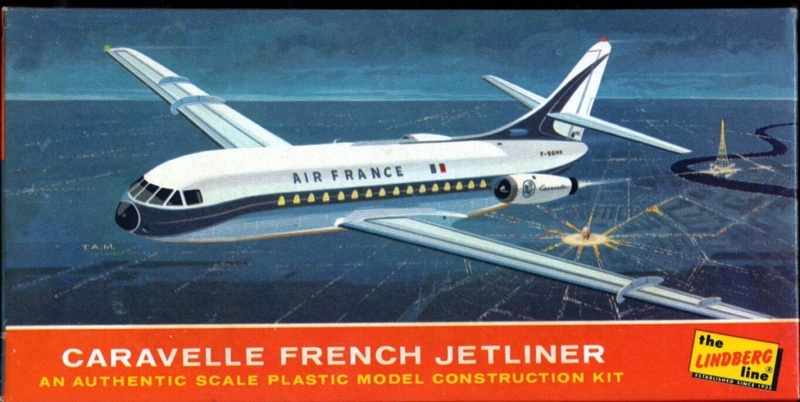 At the end of the 1950s (maybe 1959) and available in France in 1960, Lindberg issued their first big kit of a French airplane : "Her Majesty Caravelle" originally Sncase SE-210 Caravelle". 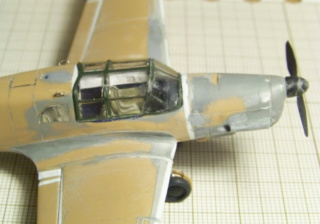 The kit is in 1/96 scale and it's a very complete but complex kit, relatively difficult to build. 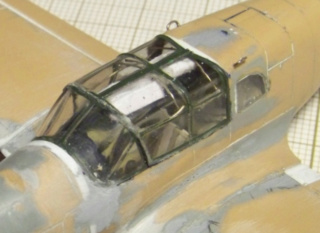 It's to be noted that the Heller's kit in 1/100 scale was available for Christmas 1957. 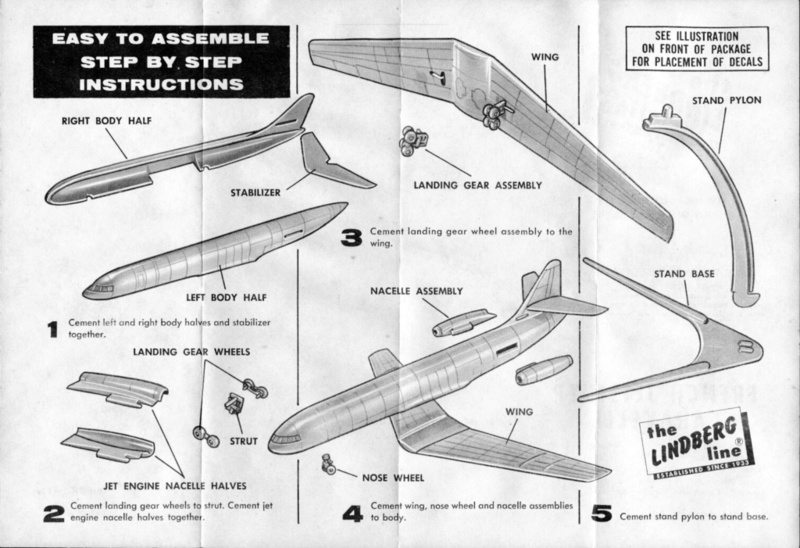 The drawing of the box of Lindberg's is due to Ray Gaedke and is one of, if not the best picture of the entire Lindberg range of airplane kits. 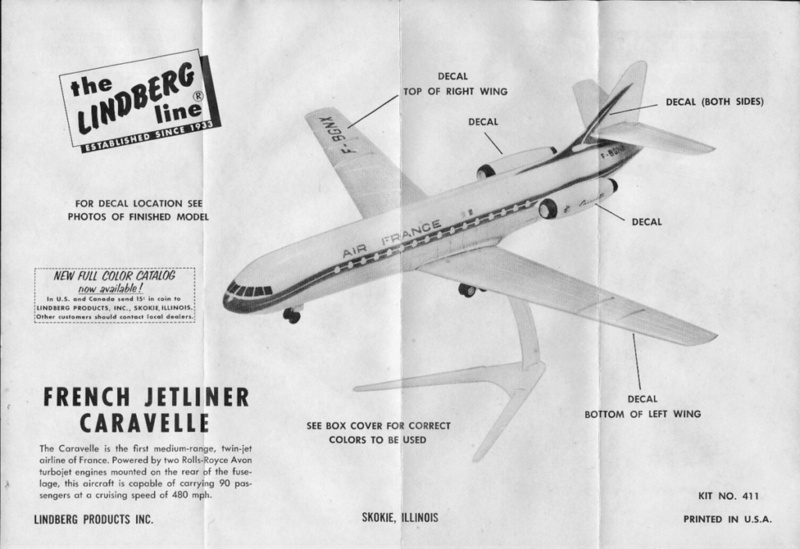 Two boxes for a a "little" Caravelle were also issued by Lindberg in 1/178 scale, the first one being present in the 1958 catalog is of the "Cellovision" type under ref. : 454:49 (49 = $ .49). Artwork is by Ray Gaedke. Good work and good rendering for the kit.